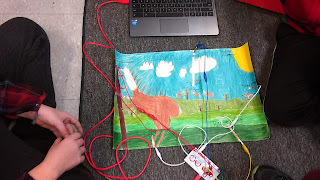 The students worked together to attach the Makey Makey to their animal poster. Some students had never seen or used Makey Makey before. 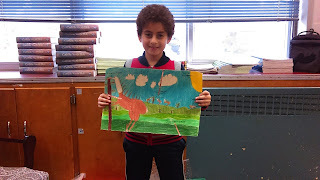 They used the copper tape provided in the kit to attach to their posters. 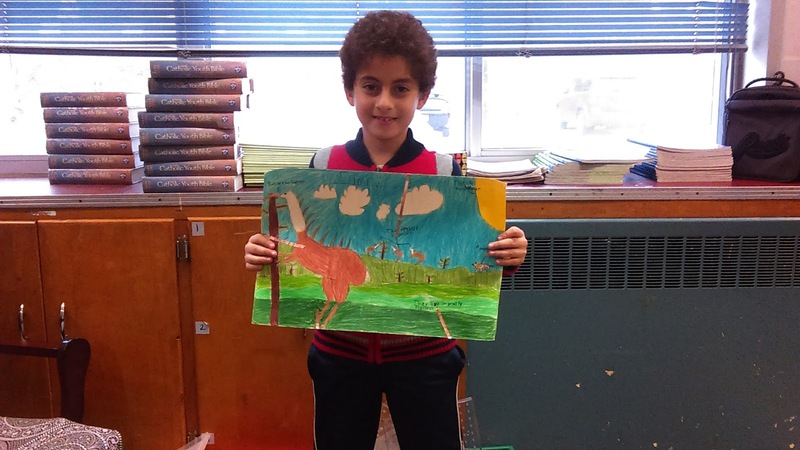 Here is Luca with his "Tracon" and Fady with his "Dimtry". 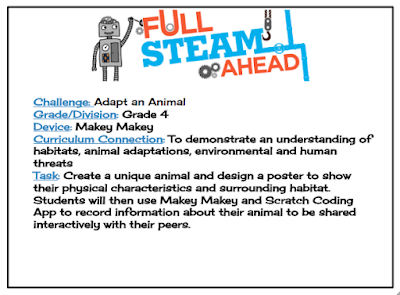 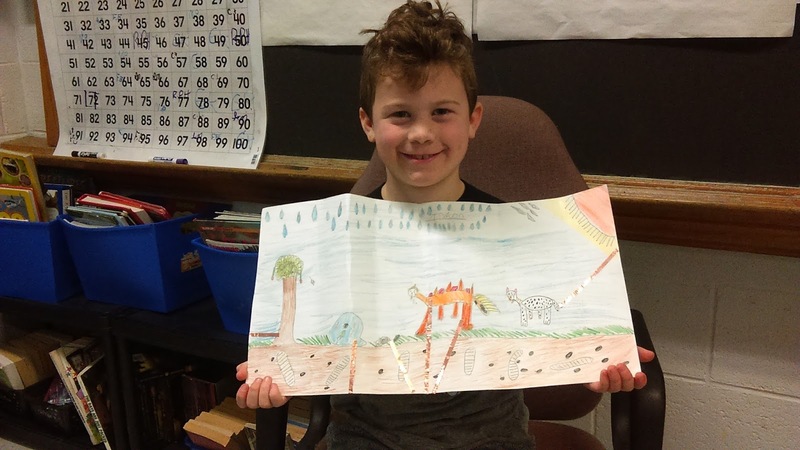 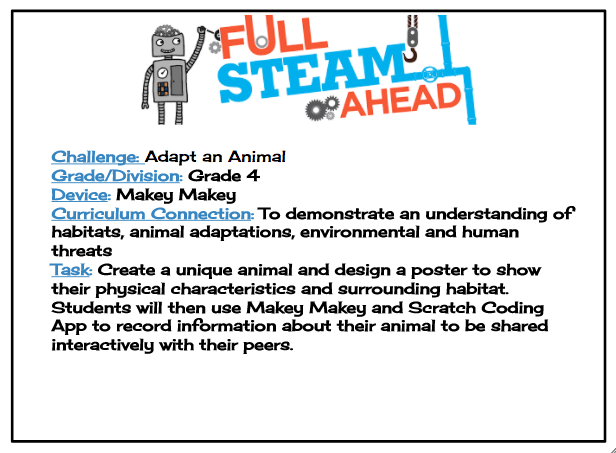 The students enjoyed being creative with their animals, combining different adaptations while showing their understanding of habitats and what living things need for survival.